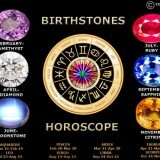 Did you know there are such things as color changing gemstones? Some exquisite gemstones change color under different lighting sources from natural sunlight to florescent or different internal lights. These color changing gemstones come from many different families of minerals including Alexandrite, Garnets and some Sapphires. 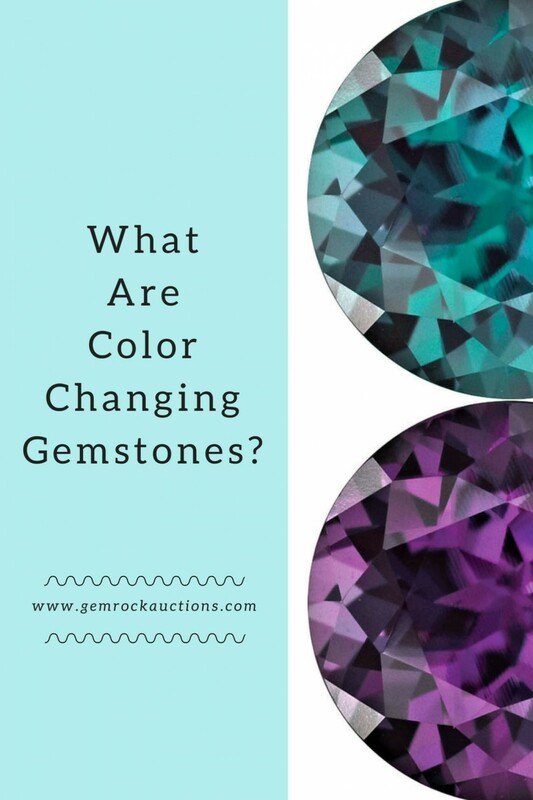 There is still a lot of confusion regarding color changing gemstones. Some people are still using the old technique of checking between incandescent and fluorescent lights, which is inadequate. Worse still, some people aren’t checking for color change at all. This is one of the most significant weaknesses of modern gemology and one that needs to be addressed regularly. This gorgeous gemstone is actually a part of the feldspar family and is naturally found as a yellow, red, green, or color-changing gemstone. 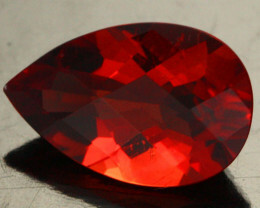 The vast majority of Andesine is in fact heat treated to create a red stone, with only a small amount of the stone naturally occurring in a red color. Andesine is mined in Tibet and Mongolia, with only a few examples displaying the color changing quality! The stones that do boast color change qualities can show an incredible range of colors under different lighting with stones changing from deep green to bright purple. When color-changing diaspore first hit the gem market it was under the trademarked name of Zultanite. Although it was named after the company who mined the color changing specimens the trademarked name never caught on and it is still most commonly referred to by it’s mineralogical name. This incredibly rare stone can be found throughout the world but is only mined in the Anatolian Mountains of Turkey. In addition to color-changing properties Diaspore also exhibits pleochroism, which means that it can show bands of color when viewed from different angles. Color changing diaspore gets its color from manganese and switches from a gorgeous green, to pink, to champagne depending on the light source. Flourite specimens can exhibit an amazing array of colors including brilliant reds, blues, purples, greens and yellows through to darker browns and reds. Some specimens boast a range of colors but it’s commonly found as a single color gemstone. Color-changing fluorite is most often found as a blue stone under natural light that turns to a purple stone under incandescent lighting. This affordable and attractive stone is actually relatively soft which means that it is best used for pendants, earrings, and bracelets, where it is exposed to limited wear. 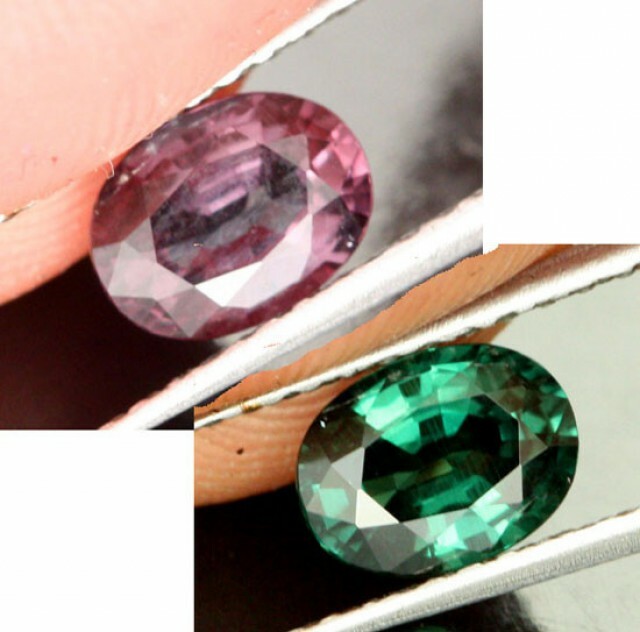 Alexandrite, a variety of chrysoberyl, claims the title of most expensive color changing gemstone! Alexandrite is believed to be named after Tsar Alexander II of Russia. It was first discovered in an emerald mine and mistakenly identified as an emerald due to its green color. This color changing gem has the incredible ability to change from emerald green in the daylight to red at night. It’s also been seen to show blue tones in natural light and purple coloring under artificial light. 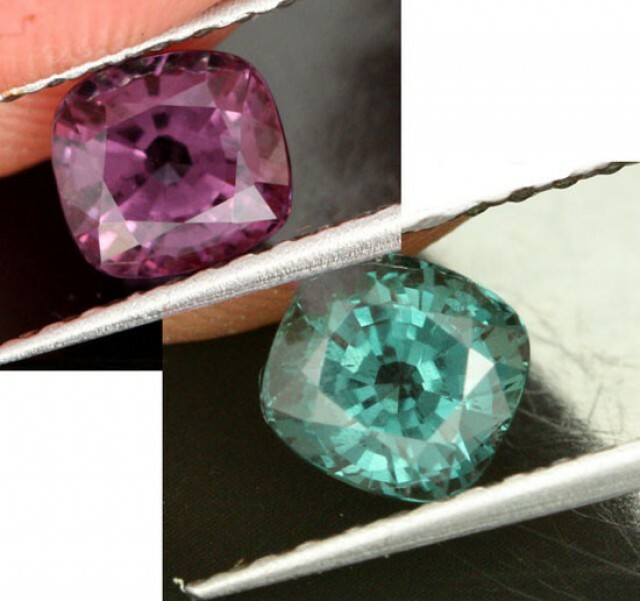 Alexandrite is a unique and beautiful stone that will make any piece of jewelry a talking point! 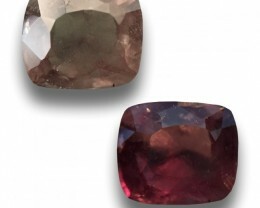 Color change garnets, which are often mistaken for alexandrite, are a beautiful and rare member of the garnet family. Like many other color changing minerals color changing garnets change their color depending on the type of light they are viewed in. 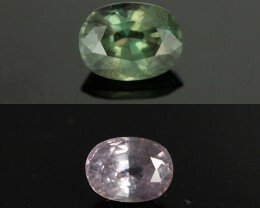 Under natural lighting conditions these garnets most commonly exhibit a brownish green color that changes to a pink tone when viewed under artificial light. 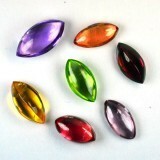 However each garnet can have a unique combination of colors with blue, yellow, orange and purple tones all possible. 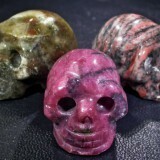 Color change garnets are found in many areas of the world including Madagascar, Norway, Sri Lanka, Tanzania, and the USA. A rare type of sapphire can show color changing abilities when viewed under different lighting conditions. The strength of color change varies by stone with some exhibiting a strong color change and others showing just a minor change. 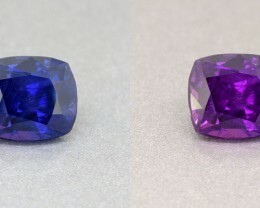 Most commonly color-changing sapphires will appear blue in natural light and shift to a purple color when viewed under artificial lighting. Color changing sapphires should not be confused with bi-color sapphires that contain two distinct bands of color in all lighting conditions. First let me point out that color change is defined by what you see between natural and artificial light. If you think about it for a moment, it will be obvious. Electric lights have only been around for a bit over a century, but the color change phenomena in color changing gemstones has been know for much longer. Originally, it was defined as the difference people saw between sun light and fire light, be that from a candle, oil lamp, or whatever. 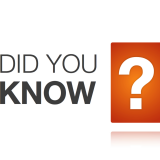 As incandescent light became common, the effect was the same as comparing sun light with fire light. so the definition was modified to be a comparison between natural and electric lights. 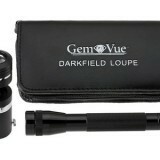 Below are pictures of a Garnet. 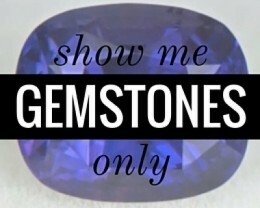 This is one of the most widely available color changing gemstones on the market today. This is the standard for defining color change in color changing gemstones: it is the difference between what you see in natural, (I.E. sunlight,) and any other light source. The definition of color changing gemstones needed to be modified again when fluorescent lights were added to the equation. They often show the same hues as natural light, which is why people began checking for color change with two types of electric lights. However, we now know of color changing gemstones that do not react to fluorescent the same as natural light. So it is no longer an adequate to use two electric lights when checking for color change. Many people only check a few gems for color change. The unfortunateness of this can be shown by one glaring example. Some years ago, one of Hollywood’s most prominent families sent some diamonds to the GIA for grading. The reports came back with no mention of them being color changing gemstones, something that greatly affected their value. For security reasons, there were no windows in the grading area. And, since no one had ever heard of color change diamonds before, the test was not considered necessary. 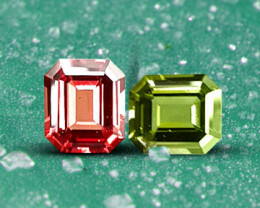 We now know that color change diamonds are extremely rare and valuable. They are commonly referred to as Chameleon diamonds. Below are pictures of color change Andesine. This is another mineral where color change was not given much thought. Every gem should be checked for this property. In the last couple decades, many new color changing gemstones have emerged and new ones are continuously being discovered. On Gem Rock Auctions there are color change Sphenes being offered for sale. I have never heard of a color change Sphene before, but obviously they do exist. If someone hadn’t bothered to check these gems, they would have been overlooked. The lesson is simple; you need to check all gems for color change. We do not know all nature has to offer us and there is no excuse for missing such an important piece of information. 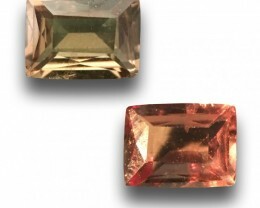 The actual mechanism behind color changing gemstones is quiet simple. Every light source has a different fingerprint. 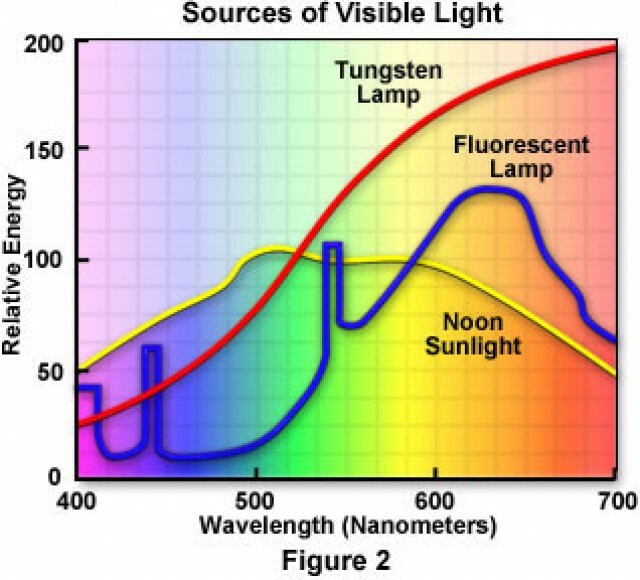 That means that visible lght can be made up of many different wavelengths that show different colors. In the image above it is easy to see that noon sunlight (the yellow line) has a relatively flat line that contains almost every color. Now if you look at the Fluorescent lamp you will notice there is not much blue but lots of yellow and red. Now lets take Alexandrite. It is Green in daylight and Red in incandescent light. Looking at the yellow and blue line above it is easy to see that daylight has more green color than red color. 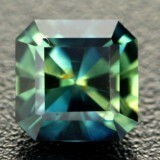 So to the human eye, the Alexandrite will look green. Now if we look at the blue line you can see the green is relatively low compared to the red. So to the human eye the Alexandrite will look red. This is a very simplified version of what actually happens. The more complex explanation will involve talking about selective absorption of wavelengths. That is a conversation for another day. The process is becoming still more complicated. 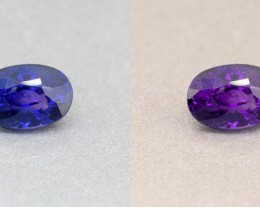 Recently there was a discovery of two gems that showed a three way color change; with one hue showing in natural light, another under incandescent and still a third in fluorescent. With so many variations now appearing, it is possible there are gems that only show their color change between natural and fluorescent lights, but none between natural and incandescent. I have never heard of such a stone, but the possibility exists. Around the edges of the liquid it turns green. Why does this happen? Put simply this is caused by optical absorption. it is directly related to the light transmission path. Now in English - the longer the light has to travel through the liquid, the more a certain wavelength will be absorbed. 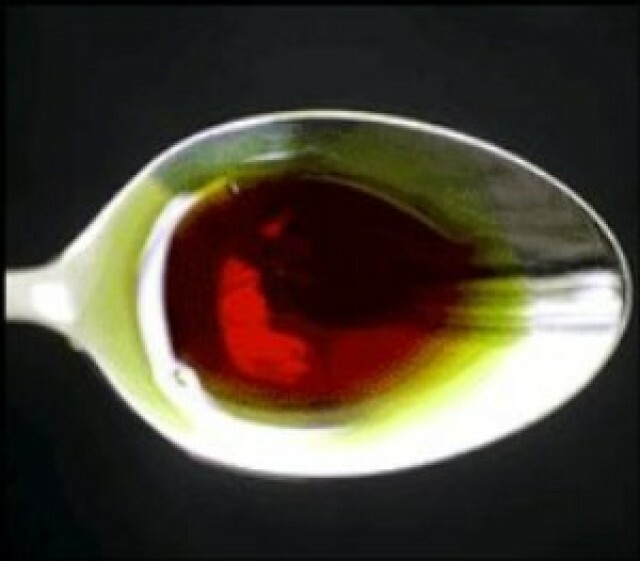 So in the spoon above, the light does not have to travel through the liquid very far and so the green wavelength is able to make it through the liquid as it travel through it. Now when the liquid reaches a certain thickness, the green wavelength of light is absorbed so much that it stops being transmitted. The only wavelength left is the red. 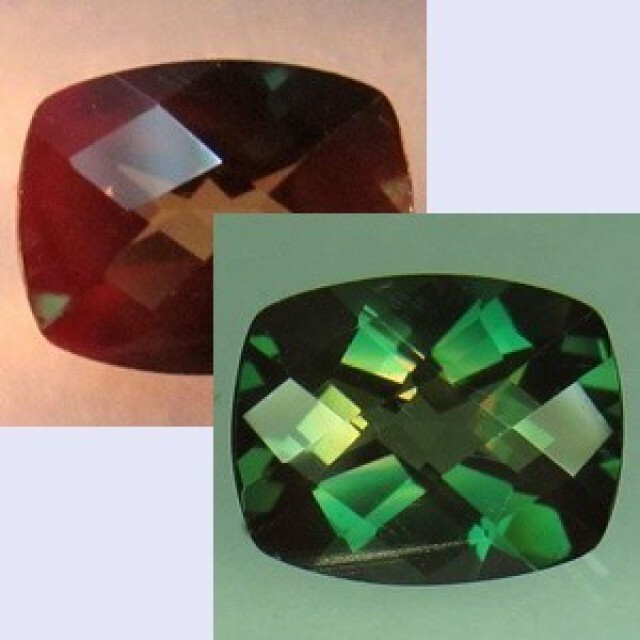 This effect has been found in tourmalines. 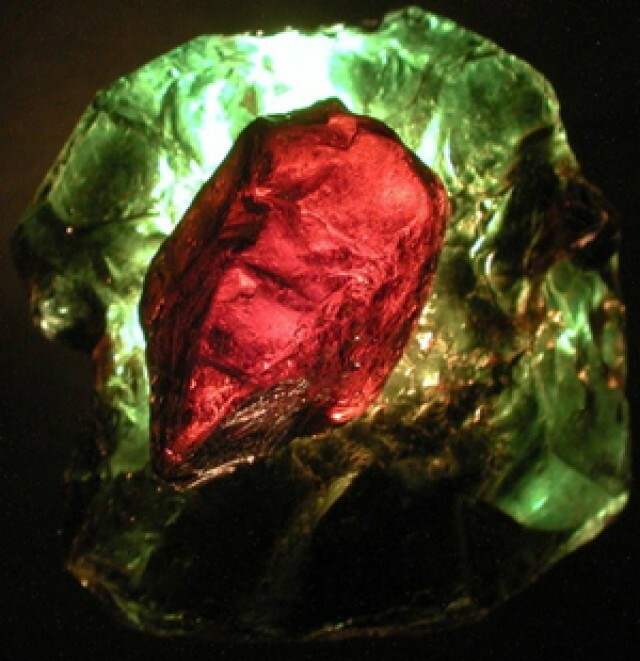 Below is a picture of a tourmaline showing a green outer edge and red inner edge. of Aussie/Argyle, as profound as any Colour Changer. I own a Collection of Diamonds that no one will yet Grade as Colour Change, in time they will as more voices cascade..it's unavoidable. Colour Change will soon become the most known accepted n asked for in Gems. I'd bet on this but, I'm not a betting Soul. 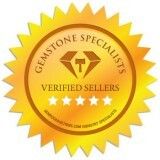 Gems per weight, are the most valuable issuance around..even the least cost per carat Gem! Usually color change Fluorite has been irradiated. 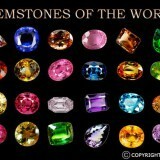 There is some natural stones though so you might be one of lucky few! I have a color change fluorite. Is it natural?